Radio Mind investigates the shifting terrains of the transcendent and the quotidian through new communications technologies. Drawing on early 20th Century experimental radio, Protestantism, historical and mythic seafaring cults and the powerful mythology of the radiophonic ether, notions of radio art and religious imaginary are brought into question. The Old Lookout became the chapel of a religious pirate radio cult whose radio station Radio Mind, was relayed by its’ Missionaries across the golden sands of this popular seaside resort. Inspired by an obscure group of early 20th century Anglican clerics with a shared interest in telepathy, psychic research and psychology as paths of divine/human communication, Radio Mind took place at the Old Lookout Gallery, Broadstairs which became an outpost from which to re-open the paths of transmission through performance, broadcast and participation. Radio Artist Magz Hall is interested in sound and radio events outside conventional studio settings and this micro transmission investigates the shifting terrains of the transcendent and the quotidian through new communications technologies. Radio Mind is a site specific installation which investigates the shifting terrains of the transcendent and the quotidian through new communications technologies. 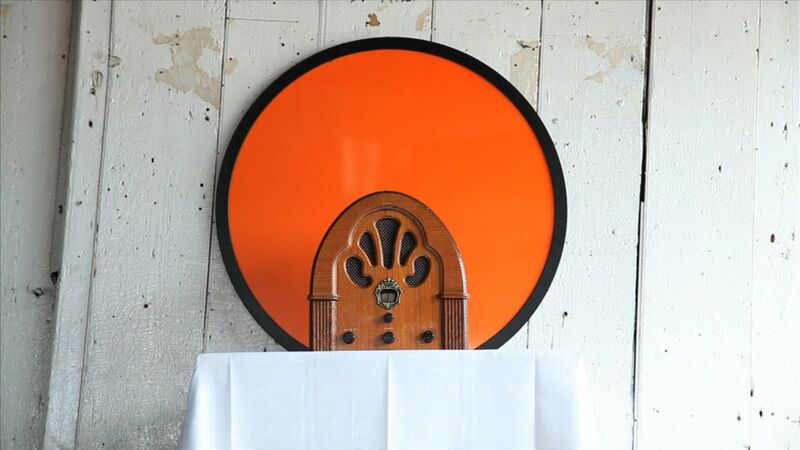 Drawing on early 20th Century experimental radio, Protestantism, historical and mythic seafaring cults and the powerful mythology of the radiophonic ether, notions of radio art and religious imaginary were brought into question. Radio Mind’s first installation took place at the Old Lookout Gallery, Broadstairs where it became an outpost from which to re-open the paths of transmission through performance, broadcast and participation. The location of this site-specific installation linked notions of seafaring and radio piracy with religious broadcasts which were conveyed in a physical and virtual realm. The Look Out gallery became a chapel for Radio Mind, with the space set up and dressed accordingly using old radio valves and a vintage 1929 radio making a sculptural presence, the broadcast relayed through radio birds which were hung in an overhead fishing net. Radio Mind was relayed by cloaked Missionaries across the golden sands of the popular British seaside resort of Broadstairs. 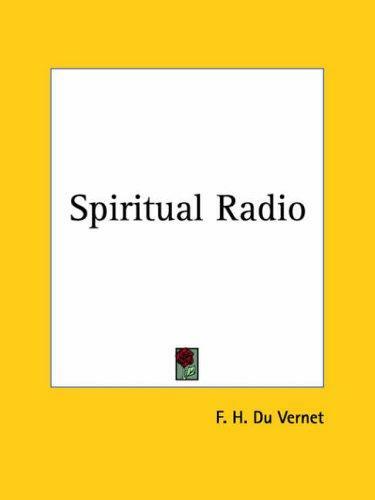 Inspired by an obscure group of early 20th century Anglican clerics with a shared interest in telepathy, psychic research and psychology as paths of divine/human communication, Radio Mind takes the text “Spiritual Radio” by Archbishop Du Vernet (1925) and futurist David Burliuk’s 1926 Manifesto “Radio-Style” as a starting point for a fictional radio-work based on these historical texts. The project primarily used FM micro transmitters which broadcast the sound work through ten black static bird radios which were placed in fishing net in the ceiling of the space and through a modified FM 1920s radio on the ‘altar’. The open door in the space to the sea proved to be another sound channel that gave the work added resonance. Radio Mind missionaries also walked around the beach adjacent to the gallery with portable radios playing the looped broadcasts, adding a performative dimension to the work. As well as functioning as a self contained project in its own right, Radio Mind also comprises a key part of ‘Switch Off’, a wider project investigating the boundaries of radio art practice and positing a series of possible futures for FM radio after a proposed ‘analogue switch off’. Divergent radiophonic works form eight speculative ‘trace stations’, of which Radio Mind is one, in which fragments of familiar, strange, overlooked and unheard sounds coalesce with experimental drama and radio art. The work takes as its starting point the government proposal for ‘analogue switch off’ for FM radio in the UK, and draws out a speculative poetics from the potentialities implicit within this part of the radio spectrum once abandoned by sanctioned broadcasters. This work, presented as an array of sonic fictions and interventions, represents different aspects of how FM radio could sound in the future and forms the basis for generating a narrative around a loose dramaturgical structure. Each trace stations functions as an abstracted self-contained narrative and art work as well as being part of the overall suite. The project uses fm micro tranmsitters. An effective portable installation system was achieved by installing radio mind, I am now working on a larger surround sound set up using more transmitters, which I am experimenting with for future installations and several other trace stations. The next incarnation will use 9 radio birds and 6 transmitters at Lightworks Festival in Grimsby in March 2012.